The Sheep Whisperer: Promising for Sheep? -Take 2! Let's continue delving into the wonderful promises for sheep, as outlined by David in Psalm 23 . We've already established that sheep have the privilege of having the Lord as their Shepherd, by invitation. As sheep welcome the Lord as their Shepherd, they joyously discover that He will provide for all their needs! The next part of the Psalm deals with their "Diet", or choice of "restaurant". It's all a matter of "SELF CONTROL"! Honestly, I'm not trying to "Pull the Wool over Ewer Eyes"! 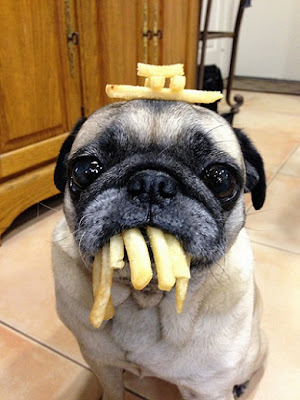 I don't Overeat! 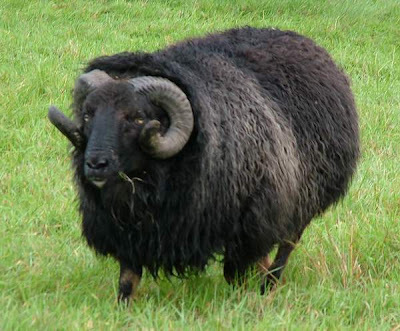 that sheep will graze for 7 hours a day on average? They eat mostly at the crack of dawn & at sunset. 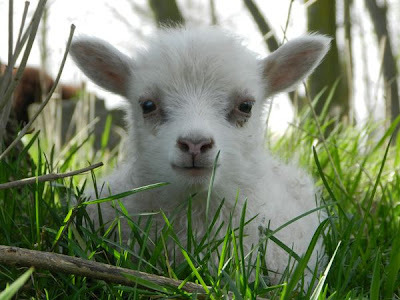 Sheep love to eat grass, clover, & a broad leaf flowering plant known as a forb. 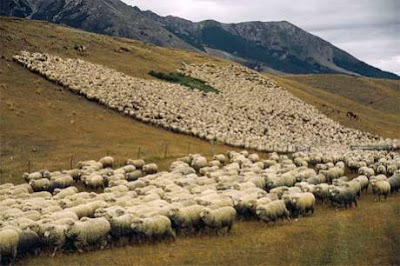 The Shepherd, as an expert "restaurant" manager, is responsible to lead the sheep to the finest "Grazing Restaurants". The Shepherd will lead sheep away from the poisonous plants & into the finest nutritious plants. 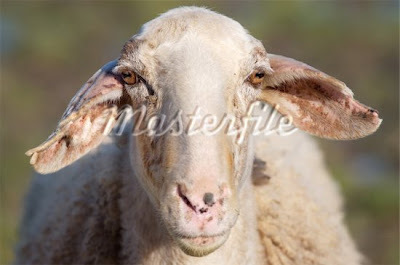 After all, we all know that, "Ewe are what Ewe eat"! These days, Ewe just can't find grass this GOOD! So much Good Grass to eat & so little Time!" God is GOOD! David continues to elaborate on how the Shepherd cares for the sheep by taking care of another one of their basic needs, which is water! David intimates that the Shepherd leads sheep, not only to the finest "restaurants", but also to the most refreshing "drinking holes"! 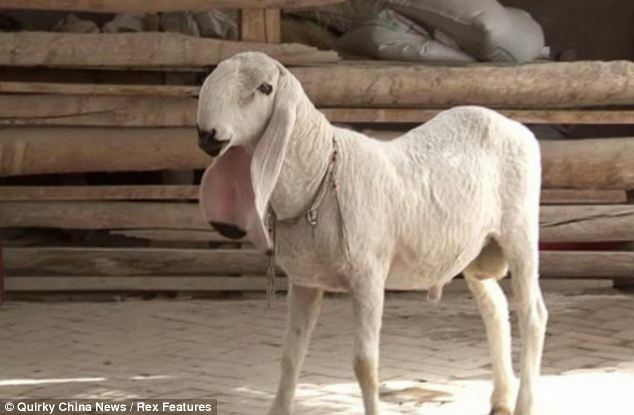 He knows exactly what will satisfy the sheep's thirst. Sheep require anywhere from 1/2-4 gallons of water a day, depending on how much moisture is in their feed. Generally speaking, there are 3 main water sources for sheep. They are deep wells, streams & springs, & dew on the grass! 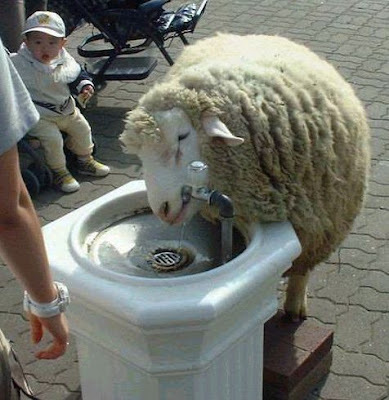 Did Ewe know that sheep prefer to drink still water? Diverted streams & dew on the grass are both excellent sources of "Still" water that they can drink from until they are satisfied! Shepherds recommend redirecting moving streams, when possible, to hewn-out caverns, due largely to the potential health & environmental hazards. I'm enrolled in an AP course in "WATER DRINKING"! I'm so thirsty! This Line to the water hole seems really long today! Sheep have the same basic needs of Food & Water as we do. 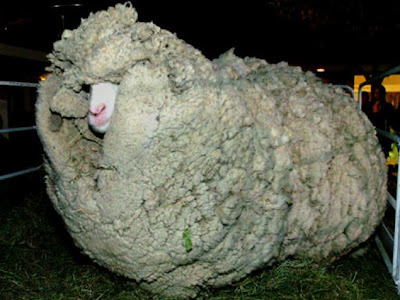 Fortunately, sheep have a Shepherd that is "Looking Out" for them. I Thank God for my Shepherd! Without him, I wouldn't survive! I feel like a "million bucks" under the care of my Shepherd! As Ewe travel on the trails God has for Ewe today, be thankful that Ewe are well-cared for by a Shepherd that is "Crazy about EWE"!